Math. So intimidating is this four-letter word that people do everything they can to avoid it, even when they know that doing so puts their financial well-being in peril. Wait! Don't click away. You are mere paragraphs away from mastering one of life's most important equations. This article kicks off a short series in which we'll review the major computations behind the numbers you see at AOL DailyFinance. In other words, you are about to learn Mathanese -- aka the numbers behind investing's big equations. Don't worry, there's nothing too complicated here, despite how difficult and intimidating many professional money managers and Wall Street talking heads make it seem. We're talking about things most 10-year-olds have learned upon graduating fifth grade. Today, let's start with the dividend yield. If you've ever looked at a quotes page for a stock, chances are you've seen a space for "yield." 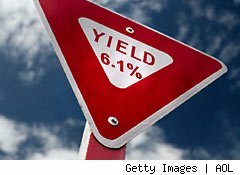 Expressed as a percentage, the yield explains what investors can expect to get from holding a stock for a year. Now here's where the math gets a tad tricky. Just because Altria yields 6.1% today doesn't mean it will yield 6.1% tomorrow. Stock prices fluctuate, and with them, the yield does, too. The higher the price, the lower the yield -- and vice versa. But now you know how to calculate the yield every single day. In this sense, knowing the yield isn't like knowing the rate on your credit card. Interest rates are typically fixed while stock prices are anything but. So why do you need to know how to calculate the yield? Higher-yielding stocks tend to outperform lower yielding ones. Knowing the math makes it more likely you'll find high-yielding gems such as National Grid (NGG) and Southern Co. (SO). Both stocks have proven to be winners for my Motley Fool colleague Dan Dzombak, in a high-yield portfolio that is up more than 13 percentage points on the overall market as of this writing. Have questions or comments? Click here to send Tim an email. Motley Fool contributor Tim Beyers is a member of the Motley Fool Rule Breakersstock-picking team. He didn't own shares in any of the companies mentioned in this article at the time of publication. Check out Tim's portfolio holdings or connect with him on Google+ or Twitter, where he goes by @milehighfool. The Motley Fool owns shares of Altria Group. Motley Fool newsletter services have recommended buying shares of National Grid and Southern.